The Golf Course Almerimar is situated in the heart of the "Almerimar Resort" a full service upscale holiday resort that offers the Four-Star Hotel Almerimar, Five-Star Hotel Golf Almerimar,(opening 2010), the Apartments Almerimar and the Sports Marina Almerimar. 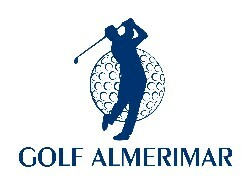 The Almerimar Resort with it's variety of accommodations and facilities provides an outstanding golf experience. Add to that it's unique Mediterranean climate providing 3000 hours of sunshine per year with an average temperature of 20C, wonderful landscapes and long beaches, what more could anyone ask for. Established in 1979, Playa Serena Golf Club is located in Roquetas de Mar and has excellent entirely renovated facilities and a well cared for 18 hole course.It's Club House is characterized by high ceilings, open spaces and amazing views of the sea, the golf course and the Sierra Nevada.This Golf Club is also considered to have the widest variety of wild birds. Located in a beautiful valley in the mountains of Vicar, La Envia Golf Course and Country club is surrounded by mountains which protect the 18 hole golf course from East and West winds, creating superb golfing conditions. La Envia is an oasis in the middle of a spectacular desert. Palm trees, mimosa trees, agaves and many indigenous shrubs line each of the 18 holes, which are laid out in an irregular pattern. Bunkers and lakes will test your accuracy, expertise and skill as a golfer. The course is at the heart of an ambitious project combining residential, hotel and many sports facilities. It's location is privileged, nestled in front of the sea with spectacular views to the Natural Park of 'Cabo de Gata', next to Retamar, a suburb and holiday resort of Almeria. Alborán Golf Courses Spain, was designed and developed by Ramon Espinosa and it was the Headquarters of the Almeria 2005 Mediterranean Games. Alboran Golf has an 18 hole par 72 Championship course 6278 metres long,a spacious driving range and other training facilities which serve as a golf school. The Playa Macenas Golf & Beach Resort includes an 18 hole golf course which nestles between a holiday complex. The golf course at Playa Macenas Beach & Golf Courses Spain Resort was designed to be the backbone of the whole development, creating an extraordinarily beautiful landscape right by the sea. With its indigenous species of vegetation and the green of it's fairways, the course seems like a visual continuation of the resort's gardens. The course has been designed to challenge and reward golfers of all levels and boasts an original design, with natural and man-made hazards that provide an added challenge to each round. The sea views are yet another attraction, making for an unforgettable golfing experience. The Cortijo Grande golf course was first opened in 1976. It is located in beautiful surroundings in the foothills of the Sierra Cabrera and just 8 km. from the sea. In this magnificent valley, players can relax and enjoy nature between orange and olive trees and a wide variety of flora and fauna. Several adjacent bars and restaurants provide their services pending completion of the clubhouse. A project is also underway to extend the course to 18 holes. Marina Golf is another one on the Golf Courses Spain list, with a character of it's own. You can play 9 holes next to the beach on a flat, though not uninteresting section of the course. The remaining 9 holes are located on the other side of a hill, with different views, and even a different climate. Some holes have spectacular tee-shots, where players will appreciate the challenging difficulty of this sport. As Marina Golf’s slogan says "it's all just a stroke away": the town of Mojacar, the sea, over 17km of beaches and inlets, most of them still unspoilt, a marina, natural parks, a diverse and succulent cuisine, and attractive countryside. The 18 Holes (Par 71) of this course have been designed following the latest design thinking, attempting to achieve a perfect layout of the terrain and taking all the environmental measures required to make the course a totally natural enclave. From a playing point of view, the course will represent an authentic challenge for the player, who can also enjoy the amazing countryside. Those who play at Valle del Este Golf Resort can´t wait to come back. It is one of the most unusual golf courses Spain - a desert course with the typical vegetation of the Almeria region. The club also boasts its own hotel and Spa. Aguilon Golf is a Golf Courses Spain candidate, part of the Platinum Program of the Aymerich Golf Club located at Pulpi in Almeria (East Andalusia). It is a course with an out of the ordinary spectacular design, with more than 100 bunkers, 6 large lakes and a large number of natural ravines that together make playing this course an unforgettable experience. The mountains of the Sierra Aguilon as backdrop and the breathtaking views of the Bay of Pulpí make a perfect setting for this beautiful golf course. The challenging holes with a unique design makes the newcomer Aguilon Golf among the most interesting courses of Spain.